Over the course of the quarter, we provided students with the opportunity to network with many successful journalists and Cal Poly alumni. Dozens of journalism students turned out in September for a presentation and film screening by journalist and documentary filmmaker Jose Antonio Vargas. The Journalism Advisory Board met in October and arrived early for Careers & Conversations, an evening of networking with students. 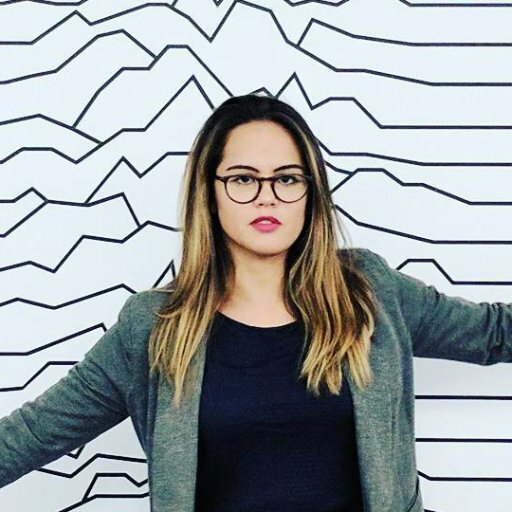 Lauren Rabaino (Journalism, '09), a senior executive at Vox Media in New York, visited campus in November to talk with students about the future of journalism and how to thrive in a changing media landscape. 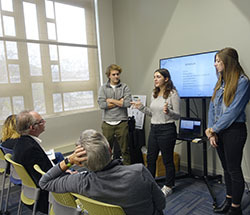 Rabaino was also a judge at the second annual Journalism Innovation Challenge, where 18 students competed for a cash prize by pitching an innovative new media idea to a panel of news and marketing professionals. The winning team — Kallyn Hobmann from Thousand Oaks, Ashley Ladin from Agoura Hills, and Andrew Suarez from Glendale — pitched an idea for an interactive app that uses virtual reality to take viewers on an immersive adventure through a breaking news event. In addition to the $100 prize, the team will receive a spot in The Hatchery, Cal Poly’s incubator for new business ideas, where they will receive guidance to develop their idea further.